Dancing makes you feel good, we all know that, but some of us are a little shy about putting on their boogie shoes in public. However, this little Tahitian dancer has no fear and a whole lot of rhythm! 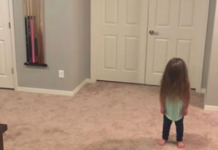 This gorgeous little toddler has been stealing the hearts of the internet for her adorable dance moves with such passion and discipline. At the time of this video being taken, little Tahitian dancer, Vaihere was only 22 months old. But that doesn’t mean her skills are limited, oh no, this girl has a real groove in her heart! Vaihere loves dancing and rehearsing at a Polynesian dance school in Tamuning, Guam. The video was uploaded by this little Tahitian dancer’s aunt. 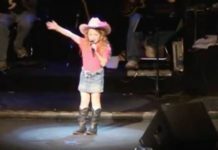 Originally it was just to show her family, but when it went online, people all over the world fell in love with this adorable little girl’s skills and passion for dance. I’m sure you will too when you watch her in action.